While my little girls are decorating some gingerbread cookies in the Kitchen, let me show you real quick one way to make 3D Christmas tree cookies. First bake 5-6 half Christmas tree cookies (I used 5). 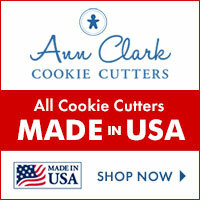 You can use the special cutter from Cookie Cutter Kingdom, or cut a Christmas tree shape in half before you bake it. Use egg yolk glaze to color them green. (mix 1 egg yolk, 1 tbsp milk, green gel food coloring). Decorate all the pieces both side. 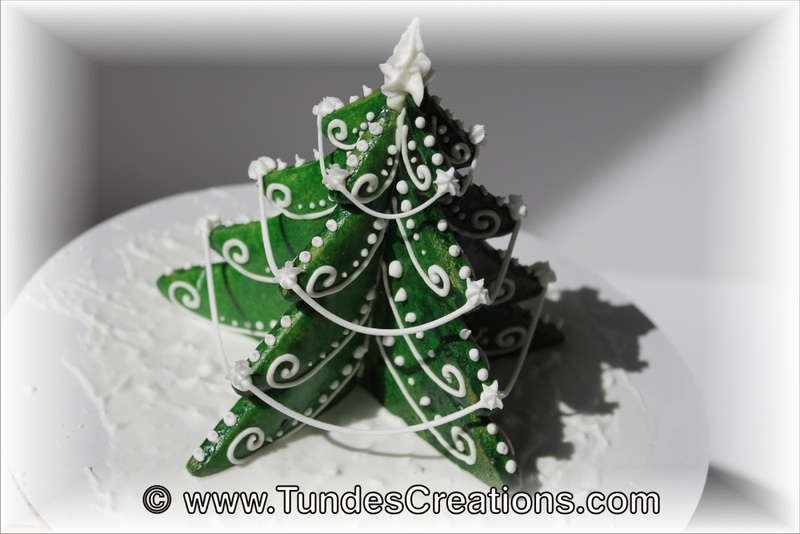 Cover a cake board with royal icing if you need a base for your tree. Glue the pieces together with thick royal icing. 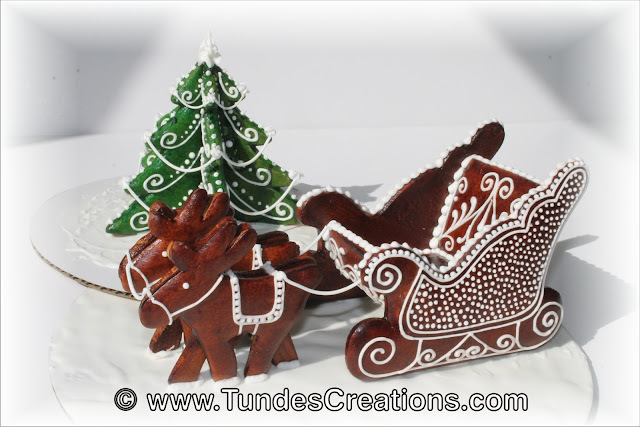 Finish decorating with royal icing, connecting the pieces. Your icing needs to be on the thicker side, so the hanging line doesn't break. This tree is a nice complement to the Santa Sleigh cookie from my earlier post. Hi Lisa, Yes I glaze them after baking. It's a very thin layer and dries pretty fast. It will dry hard and shiny. It does not work on softer recipes (it would soak my yummy recipe, but it is fine with the other 2 recipes) If you are worried about raw egg yolks you can put them back to the oven for a minute at 350F or you can use gelatin and water instead of egg and milk.